Here are two recent books that I read and reviews that I wrote for them. Both were interesting and eye opening, and highly relevant to the theme of this blog. Just as a disclaimer for integrity purposes; I did not get paid for these reviews, however I was just offered a free copy of each book for review purposes. I believe it is a neat way of getting something interesting to read, and voice your opinion at the same time. Climate Myths is both a primer on climate change and a definitive rebuttal of climate science denial. The book can thus be used to help educate students, teachers, and the general public about the controversy over climate change. Climate Myths puts the campaign against climate science in historical, political, and economic context and juxtaposes the claims of climate change deniers with the facts about climate change as revealed by authoritative climate science. Climate Myths dispels common misunderstandings about climate change and spotlights the companies, organizations, and individuals who have promoted climate myths in the course of their highly successful, multimillion dollar climate disinformation campaigns. Drawing on the principles and achievements of climate science, Climate Myths summarizes the imminent threat of rapid climate change, pointing readers toward needed action. “Facts are our friends. 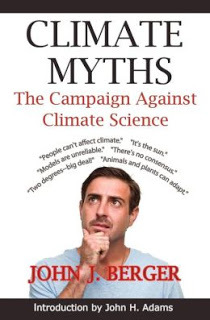 Climate Myths is a well written book about the facts of climate change and the industrial forces that oppose action to prevent this planet altering issue. The campaign against climate science has been meticulously researched and referenced by Berger, quickly blowing away the smoke and mirrors that are manipulated by these forces to plant confusion in the mind of the common man. The cloud of deception funded by vested interests has been lifted within the pages of this compact reference. By revealing these truths, Berger allows us to see the problems and forces in front of us. By reading this book, we are now armed with the ammunition to refute and rebut climate change deniers and their ilk. Dr. Pip Lipkin has lived for 12,000 years, incarnated many times as man, woman, and even as species beyond our world and senses. But he’s here for a reason: to pay restitution for an ancient crime by working to save humanity from certain destruction. Ascending Spiral is a book that will take the reader to many different places and times, showing, ultimately, that our differences and divisions, even at their most devastating, are less important than our similarities. An eon of experiences and learning that can span many physical bodies? Is that possible? 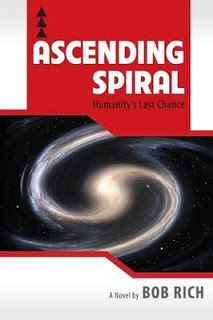 Well, after reading “Ascending Spiral – Humanity’s Last Chance”, you will rethink the meaning of life, death and what may follow, especially the future of humanity. This thought provoking book by Dr Bob Rich is a page turner from first to last. It is meticulously researched through many historical periods, and during the story you follow the journey of a single entity, Pip Lipkin, who is traversing many timeframes. The genre of this book is difficult to categorise, spanning historical drama, science fiction, and the metaphysical. That is not to say that the book is difficult to read. Far from it. It flows effortlessly from life to life, who are all connected in a particular way, which leaves the reader to ponder deeply. The environmental theme is subtly disguised throughout the story until it becomes crystal clear in the final sequences. This story had me hooked from the very start, and I could emotionally identify with all of the characters that I was introduced to during his progression. In fact, I cried with tears of joy as I flipped through to the end as the story reached its climax. Its powerful message was loud and clear. We are the owners of our own future! This is a must-read book! Note: Links to the book titles are Amazon affiliate links, where I will be paid a very small fee for referral.